Legends: Fast 4, best-of-three sets. 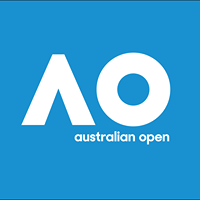 The Australian Open 2018 legends event commences on 21 January. This is a round-robin exhibition event featuring former champions of the game. It is so nice to write something like this again! against Lindsay Davenport and Iva Majoli. Matches begin at 11 AM Melbourne time. Daniela's playing with her 2005 doubles partner against her 2008 doubles partner. Dani & Martina N. over Lindsay & Majoli 4-2, 4-2. Daniela & Martina N. are right back at it today, facing Alicia Molik and Barbara Schett on Show Court 3. Third match in. Again, play starts at 11AM Melbourne time. Former tennis player follows the Australian Open for the first time full-time behind the microphone. First time at the Australian Open Daniela Hantuchova compete discovered that just took place in Melbourne most of the Grand Slam tournaments and achieved the best result - in the semi flow, 2008. What it is it be the legend? "It sounds very funny, but I do not seem so at all. It is a great honor for me that so soon after the end of a career for inviting me. I appreciate that I can with those with real legends play." The reports initially appeared that you had to play alongside Arantxa Sanchez. Why did you finally boarded with Navratilova? "Not at all, I did not play with Sanchez, it came out in the wrong agencies. Consideration was given only about a couple with Iva Majoliovou but finally play with Martina. Allowance because the commentator our obligations to broadcasters and our schedule." With Navratilova you have already tried a couple of tournaments WTA, moreover, was your mentor in the program WTA, which allocated the older, more successful the players to help the younger newcomers. "It was a long time ago, a lot of you from the time immemorial. Before this support was to familiarize with the professional circuit and life - how it works, what it is necessary to prepare, how to manage popularity, fans, journalists. I very much appreciates the I can benefit from the experience of such legends as Martina. " "For the second time approached me Fox Sports Asia, like last year at Wimbledon. This time it's full-time at the tournament. I'll comment again and Wimbledon. This station has a huge audience. It's funny, when I was at the airport know is not quite such as toys, but as the face of the screen. " It is difficult to be a journalist? "Not really, I pops right into it naturally. Probably also because I'm from the courts on the camera used to and I am very enjoy it." You have to be careful about what you say to the players understand this wrong? "Of course, I know it's a big responsibility, so I give you attention. "I do not miss tennis, I used the time off, which is strange, because before I could not imagine a day without tennis." The rest of the interview is behind a paywall. Daniela & Martina lost to Schett & Molik 4-3 4-2. She's playing an exhibition match with Goran Ivanisevic against Alicia Molik and Mark Philippoussis on Rod Laver with after the Federer/Berdych match. Daniela and Goran lost 4-2 1-4 5-2. I don't think Goran was fully focused for the match otherwise they might have won. Daniela's Legends match is last on Court 3, not before 6pm after 4 juniors matches. Daniela's match was cancelled. No way to know why.